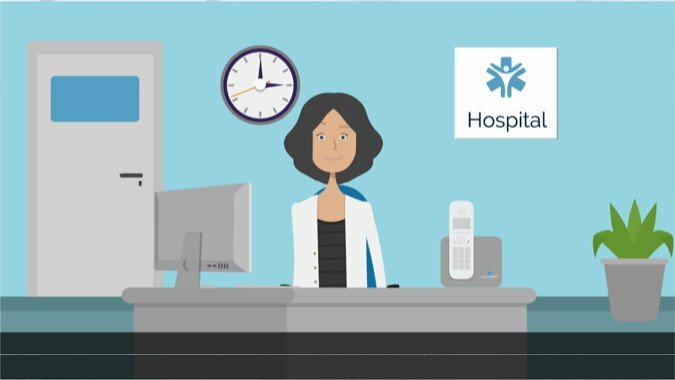 MDsyncNET.com, the premier technology company for hospital communications software solutions, has launched a video explaining how MDsyncNET can alleviate many of the interruptions plaguing hospital-based medical services professionals. The video introduces Susan, a medical services professional who has an hour to prepare an agenda for an ad hoc committee meeting – a task that should take no more than 20 minutes. But Susan faces a series of interruptions that prevent her from accomplishing the task at hand, all of which could have been avoided with MDsyncNET’s software modules. In the video, Susan receives a call from the chief medical officer, asking why another doctor received a call at 3:00 a.m. when he wasn’t scheduled and blaming Susan for the mix-up. The short answer is that, when Susan updates the on-call schedule, she has to combine information from emails, faxes, phone calls, and voicemails into a spreadsheet. While she’s an ace at her job, manual schedule distribution is messy. Those who need to know don’t always have access to the latest information. MDsyncNET’s doctor on call scheduling software streamlines schedule creation and distribution, enabling real-time schedule changes that can be accessed by authorized users from any desktop computer or mobile device. Even better, each call group can act as its own administrator, allowing Susan to prioritize other tasks. Next, Susan is interrupted by a call from an administrator needing a doctor’s new home address. Instead of relying on Susan to look up that information, they could be using MDsyncNET’s phone directories module, which provides authorized users with secure access to contact information from any internet-connected device. Because updates are made in real time, there’s no danger of retrieving outdated information. That’s one of the benefits of using robust hospital communications software. The next interruption is all too familiar to medical staff services professionals, namely that staff members pop in to ask about times, dates, and supporting materials for committee meetings. With MDsyncNET’s committees module, committee members can access meeting information and group documents online. Administrators can create and manage unlimited committee groups, and staff no longer has to print and disseminate hard copies of documents. Susan’s next challenge is to alert the medical staff about a survey team’s arrival. It takes seemingly forever to make calls, send emails, and scour the building to track down staff members. If she’d been able to use MDsyncNET’s broadcast module, Susan would have been able to send a secure message to everyone’s desktop and mobile devices with the click of a mouse. After she settles back at her desk, Susan is once again interrupted, this time by a new physician looking for a copy of the hospital bylaws. With MDsyncNET’s medical staff services module, bylaws and other commonly requested documents are stored in the cloud, enabling quick online distribution and access. While Susan ends up not having time to complete the ad hoc committee meeting agenda, MDsyncNET’s video gives hope to medical staff services professionals and administrators. The company’s hospital communications software boosts efficiency and decreases frustration up and down the organizational chart, while also increasing accuracy and creating more cohesive communications facility-wide.